Bombay (now known as Mumbai) is a city of India that is known for its opulence, cultural mix and fast paced life style. The city of Bombay (Mumbai) has transformed from a fishing village to the hustling bustling financial capital of the worlds largest growing economy. As the city grew, immigrants came to the city with dreams of gold and brought along their culinary treasures. The result has been a catapult of gastronomic activity all across the Bombay streets. Bombay (Mumbai) is known for its distinctive street food. Food which is sold by vendors (hawkers) on portable stalls is one of the city’s characteristic. Although street food is common all over India, street food in Bombay (Mumbai) is noted because people from all economic classes eat on the roadside almost round the clock. Bombay (Mumbai) street food cuts across barriers of class, religion, gender and ethnicity. 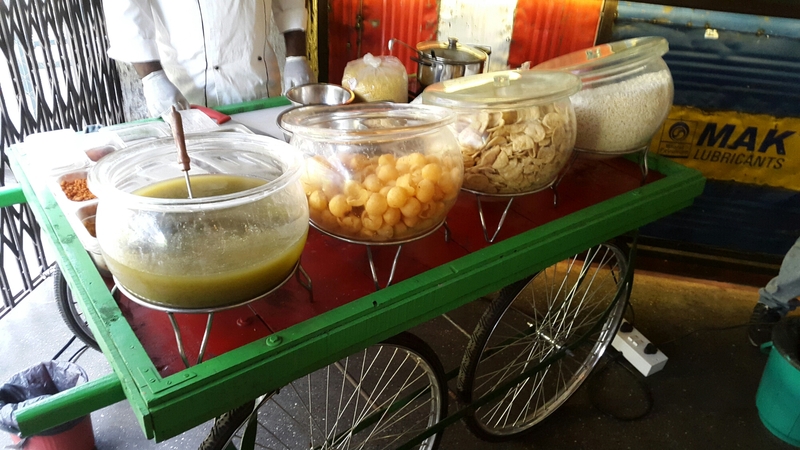 Street Food has a lot of significance in the life of a Bombayite; it is fast, economical, wholesome, available into the wee hours of the day and most of all it is very tasty. Vada Pav is noted as the most popular street food in Mumbai. As said by one of the Doctor(s) in Mumbai.. “The humble Batata vada is more than just street food. Its a wholesome meal particularity complete in all its nutrients. It has potatoes rich in carbs Vit C and Fibre. Gram Flour full of protein iron and potassium and complex carbohydrates. Other Indian spices used, are known for their health values. Vada Pav is Low in sodium, sugar and transfats. Its high in magnesium necessary for nerve function. contains no artificial colours flavours and additives”. Other noted street foods in Mumbai include Kanda (onion) bhaji, Pani Puri, Bhelpuri, Sevpuri, Sandwiches, Pav Bhaji, Idli, Dosas to name some of the Vegan Dishes. In terms of Non-vegetarian offerings omelette pav, kebabs, and fish are found on Bombay (Mumbai) Streets. The variety of street food is attributed to the cosmopolitan culture of the city. 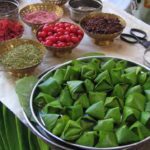 Other popular street food items include Misal Pav (spicy curry made of sprouted mooth beans which is eaten with pav, an Indian bread) and Vegetable frankie (a popular version of wraps and rolls). Kulfi ( a type of ice cream) and gola ( type of ice cream) are amongst the desserts and coolants found on Bombay (Mumbai) streets. 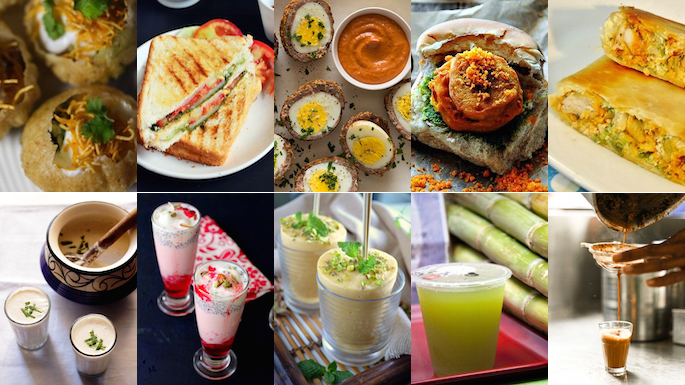 Apart from snacks Bombay (Mumbai) has several juices and milkshake bars on the roadside. Fresh sugarcane juice vendors offer a tasty form of refreshment. Paan, a betel leaf preparation eaten as a mouth freshener post meals, is also sold at Bombay (Mumbai) roadside stalls. The best way to sooth the spice off and to refresh your palate. Betel leaf has many medicinal benefits like improving digestion, help curing constipation to name a few. Betel leaf is extensively used in Ayurveda. Cutting Chai (Tea) vendors cycle around the city, selling the beverage hot on the streets. 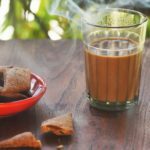 Chai Thelas (stalls) found almost on every street corner in Bombay (Mumbai) serves as meeting point for friends and also as a quick refreshment for busy office workers.